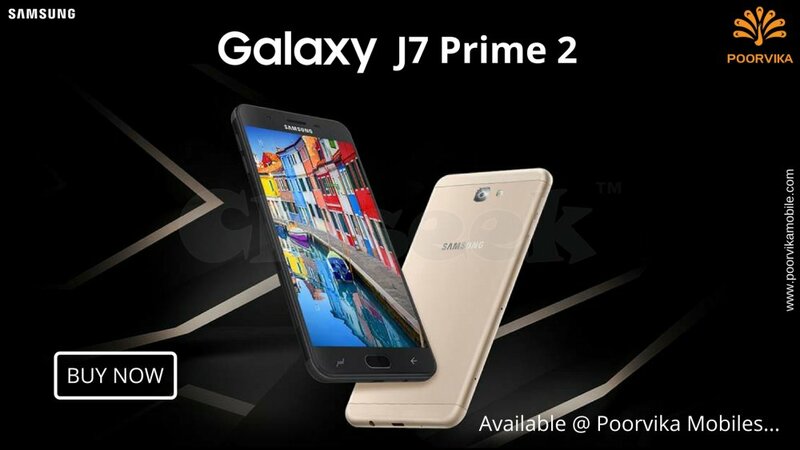 Brand New Samsung Galaxy J7 Prime 2 now available with offers on Poorvika Mobiles, Galaxy J7 Prime 2 is a FHD 5.5 inch capacitive touchscreen Display, 13MP rear camera with brilliant low-light photography and 13MP front camera, 3GB RAM and 32GB ROM give the best performance and the special features are Samsung Mall, Samsung Pay Mini, Social Camera. The mobile looking is very attractive for buying. To Chech Samsung Mobile Phones Price List in India at Poorvika Mobiles.